The all-new Nissan Micra is not just great to look at with its daring design and bold styling, but it also boasts a drag coefficient of just 0.3Cd, which maximises fuel efficiency. With its exclusive blend of expressive features and agile driving characteristics, this vehicle will certainly turn heads. I took a test drive in the all-new Nissan Micra at Nissan The Glen. The lowered driver’s and front passenger seats of the Micra provide excellent headroom for taller occupants, as well as offering rear passengers ample shoulder and knee room, plus extra space for luggage. The Nissan Micra brims with confidence, having convenient access to commands and maximised noise insulation. Apple CarPlay comes standard with the all-new Micra’s Display Audio. It is a smarter way to use your iPhone while driving. All you need to do is plug it in to map your ride, make a call, send and receive messages, and listen to your favourite music – all on a 7’’ colour display screen. Whether it’s rushing through traffic or venturing out on the open road, the all-new Nissan Micra is an excellent car to drive. The effective 66kW turbo engine gives you instant acceleration with dynamic performance that is the perfect balance between agility and enthusiasm. Nissan Safety Shield technologies is a comprehensive approach to safety that helps to protect you and your passengers in the event of an accident. Using radar technology, this safety system monitors the Micra’s proximity to the vehicle ahead, helping to detect a potential collision and automatically reducing speed if frontal impact is unavoidable. Choose your own style from six exclusive body colours. Whether you are funky or vibey, cool or classy – there’s a Nissan Micra made just for you! 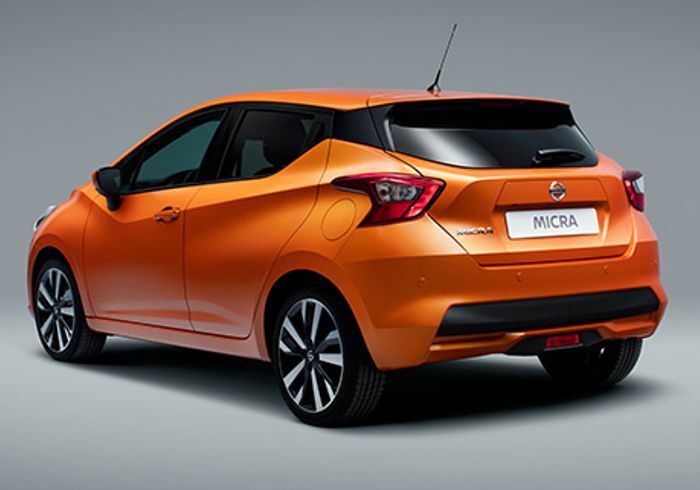 Contact Nissan The Glen for more information or to book a test drive in the all-new Nissan Micra.